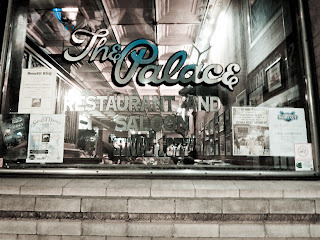 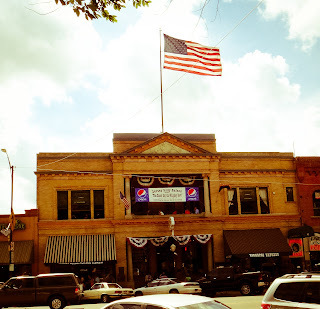 The Palace Restaurant and Saloon is across the street from the Yavapai County Courthouse in Prescott, Arizona. 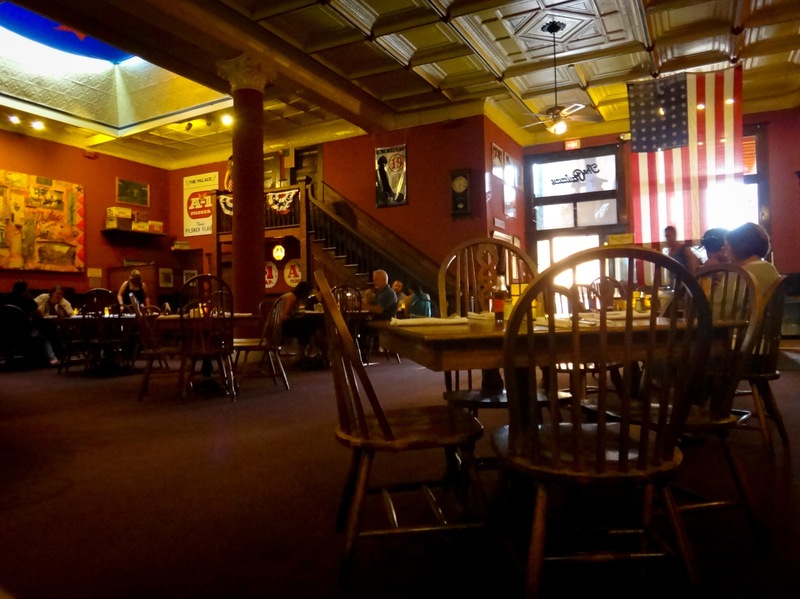 It's a relic of the old west and American history. 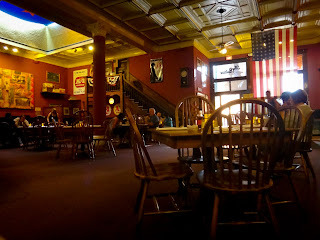 Wyatt Earp and his brothers, Doc Holliday and other notorious gamblers and law men used to frequent The Palace. 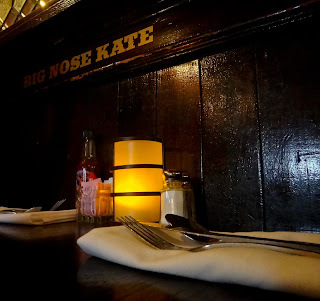 There's a booth in an out of the way corner marked "Big Nose Kate", where Doc Holliday's "girlfriend" (as the waiter referred to her) likely sat. 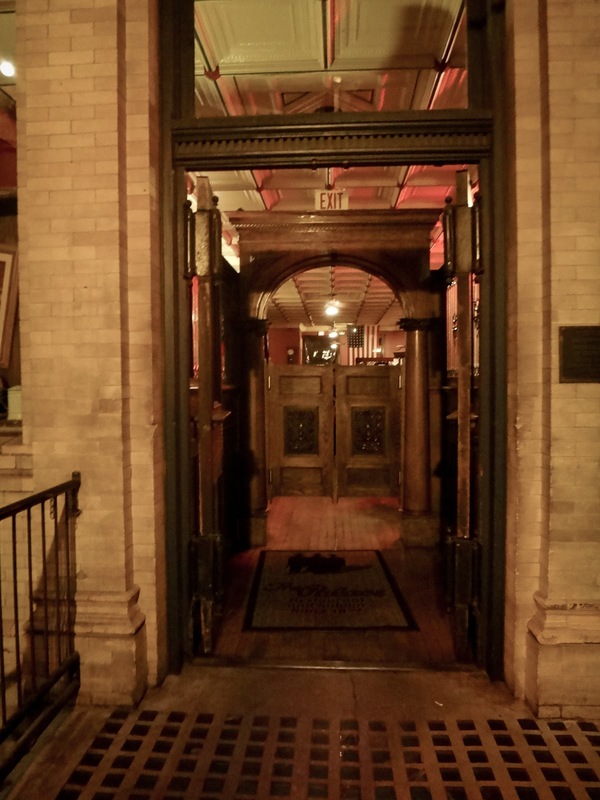 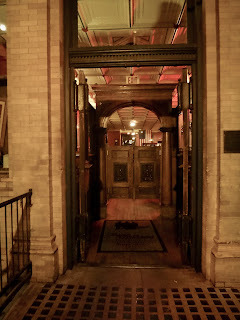 The old carved bar from the 1880s was saved in a fire when patrons carried it out of the building and across the street. 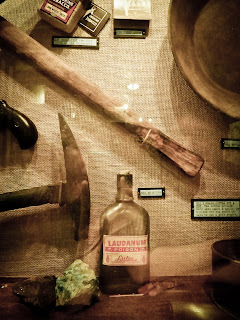 It's still in use today. 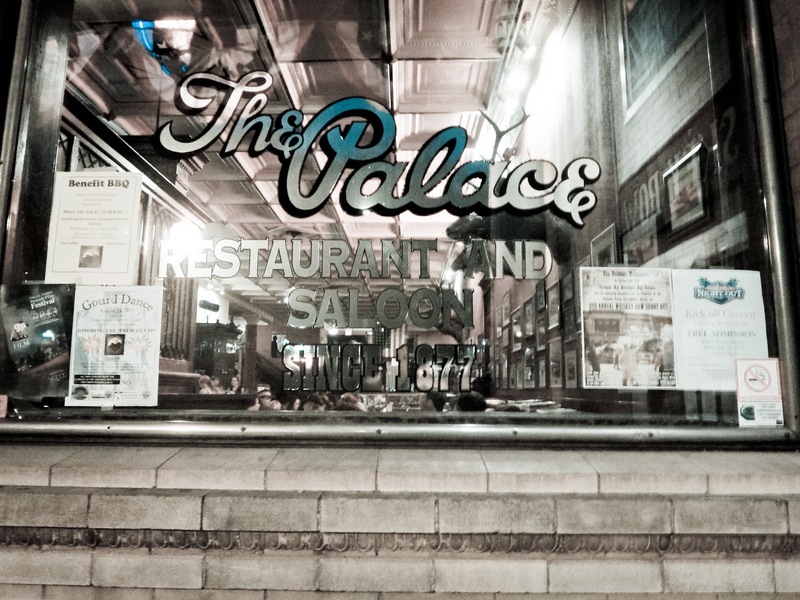 In the late 1800s, the Palace was a center of talk and information on politics, business and town gossip. 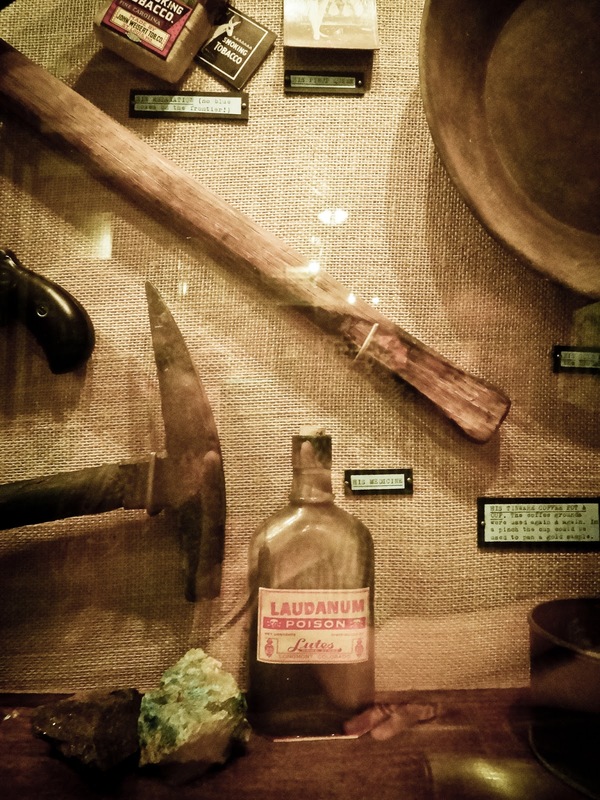 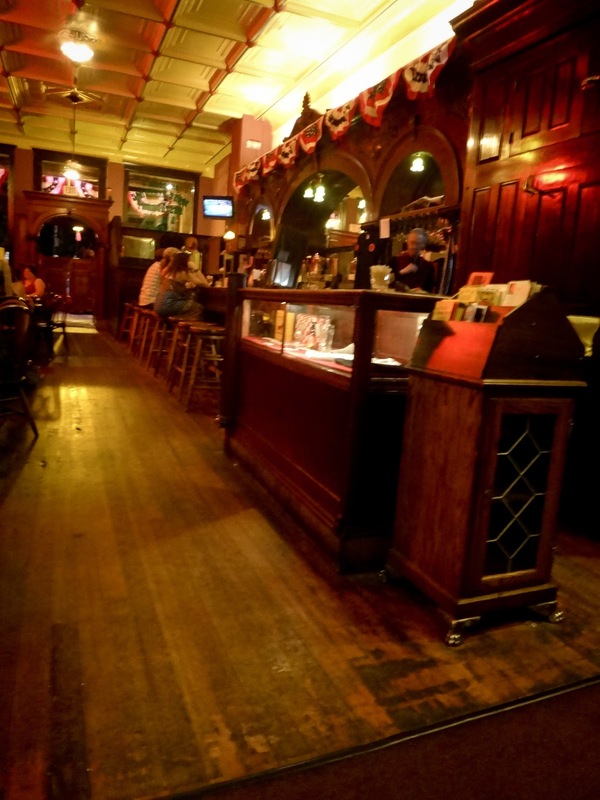 You can still go in through the saloon doors to enjoy an old west "watering hole".